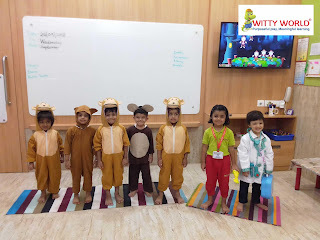 Doctor said “No more monkeys jumping on the bed”. 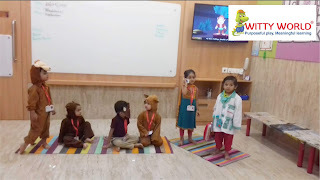 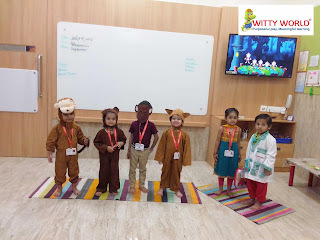 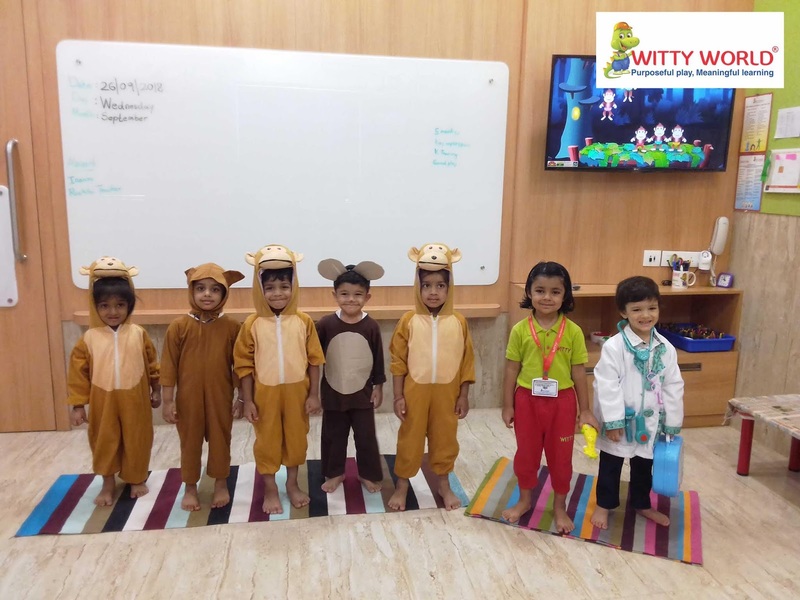 Little Wittians of Nursery section of Witty World Goregaon East were introduced to the rhyme “Five Little Monkeys” through a dramatization on Wednesday, 26th September 2018. Parent’s efforts were displayed as some children came dressed in the character allotted to them such as Monkeys, Mamma and a Doctor. 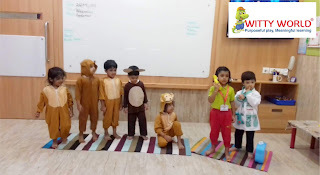 Children happily sang and enacted the rhyme. 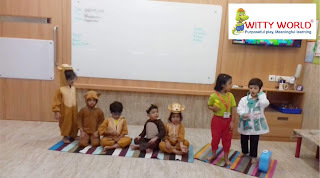 It was a day filled with joy and children were super excited to enact the rhyme.